That would be Tim Kabat. 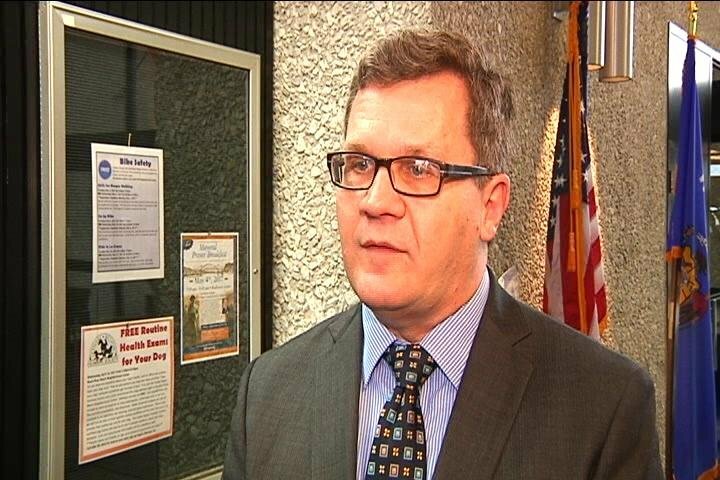 Earlier this week Kabat released his annual budget proposal for the city of La Crosse. Kabat is calling for a tax rate decrease with a very slight increase in spending (the tax levy). I find that to be fiscally responsible. There’s more, however, to my praise for Kabat. The mayor is one of many locally elected officials in Wisconsin that has been outspoken in their opposition to what they call the “dark store loophole.” A frequent pattern has seen national retailers appealing their local assessments that are based on the property value of an active store. The businesses claim they should be taxed as a vacant building. Courts have repeated ruled the business have been overtaxed by the local municipalities who are then obligated to pay back the businesses. Local officials lament the situation, and this is important, submitting they are forced to shift the subsequent tax burden onto homeowners. At a roundtable discussion last week Mayor Kabat said the lawsuits by big boss stores have cost the city of La Crosse nearly $400,000 since 2014, and the problem is growing. Then why is Kabat commendably proposing a budget tax levy that is essentially nothing? Shouldn’t he be crying the blues that he has no choice because of the big, bad, evil corporations but to raise the taxes of the little guy? Kabat’s actions don’t fit the anti-loophole template. Overall, the city is budgeting for a 1.72 percent increase in the tax levy, which amounts to $361,526 more coming into the city. The mayor’s recommended 2019 city budget includes a lower estimated tax rate compared to 2018.